Summary: Continuing the lifestyle theme of Groundcare’s Log Cabins and Camping Pods, Brand Re-enforcement. 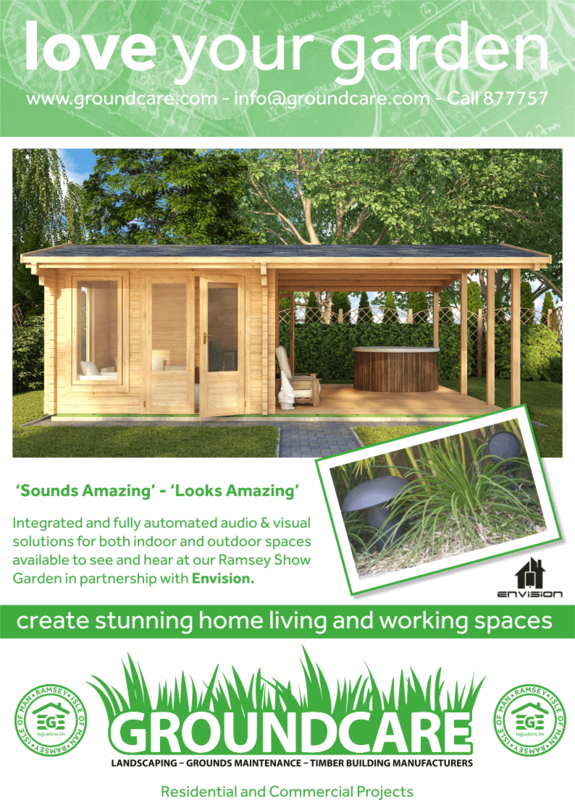 Full A4 page advert designed for the local publication Business 365 to display the exceptional build quality of the Groundcare Log Cabins and Hot Tubs. Log Cabins with integrated Audio, Visual and Lighting Solutions from Envison. Manx Tails – Ramsey Special. 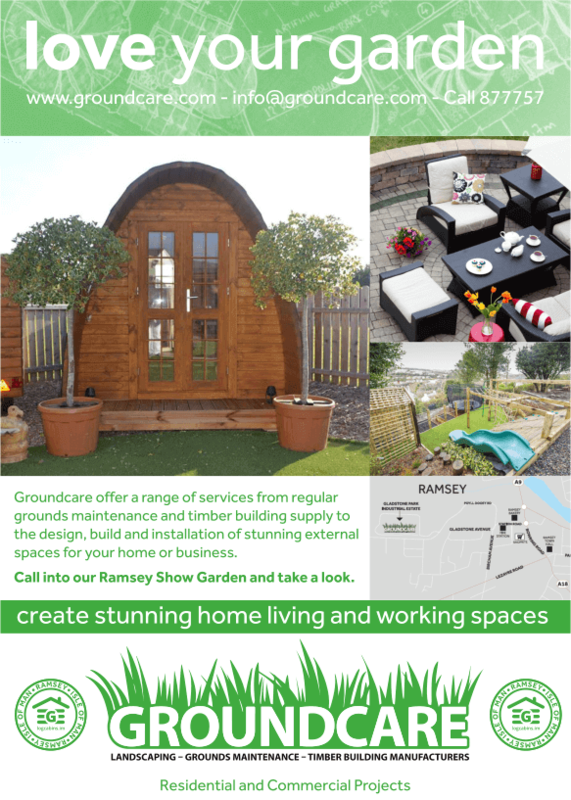 Full A5 size advert – showcasing Groundcare’s range of both residential and commercial services, including a map to promote their location in this Ramsey special.